Have you ever taken a Myers-Briggs Profile test? 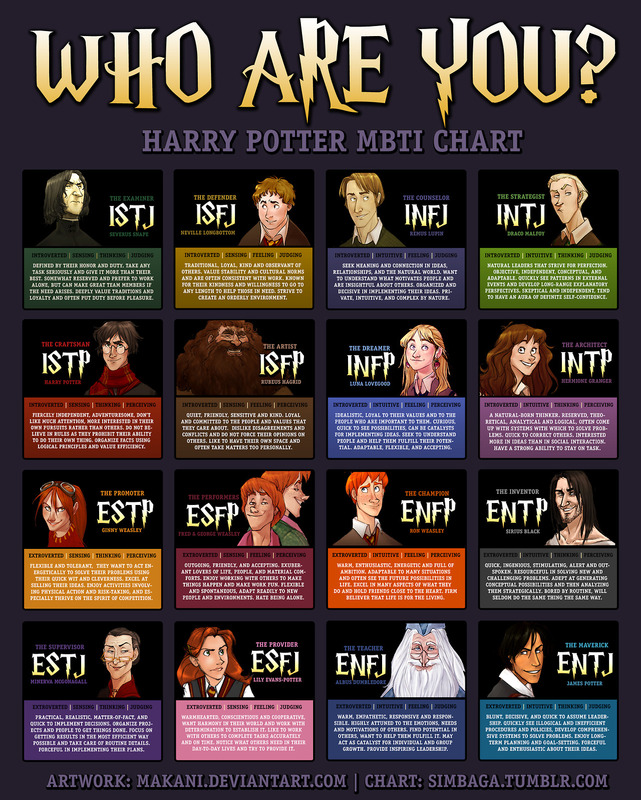 Here’s a clever infographic that looks at the various Harry Potter characters and what their Myers-Briggs Type Indicator might be. To show the power of blogging – Huffington Post recently ran this, and the creator got 8,000 messages overnight! Think Bully Pulpit! By the way, I’m INTJ, what are you? Is yours accurate? How has knowing your type helped you to understand yourself better? Let me know by posting a comment below. And don’t forget to +1, Share, Like, Tweet, Tumble and Pin this!